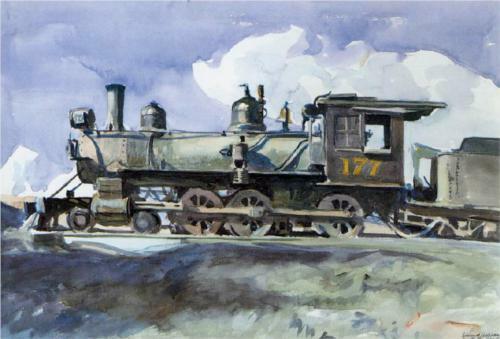 We continue bringing to light the works of Francis Quirk by sharing two striking watercolor images of a train locomotive with an adjacent freight car. 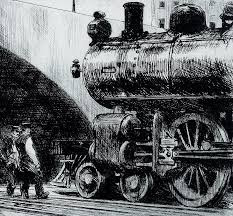 The images capture the engine obliquely from the front with smoke rising from an active boiler fire. 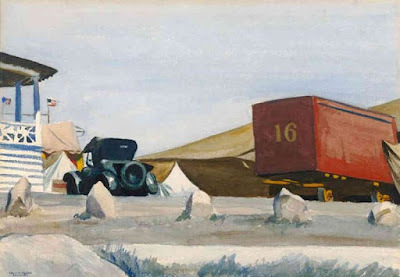 The House in the background of the second painting is reminiscent of Edward Hopper's work. It may be that Quirk's watercolors were executed when Quirk was in Cape Cod Massachusetts as a young man in the early 1930's. 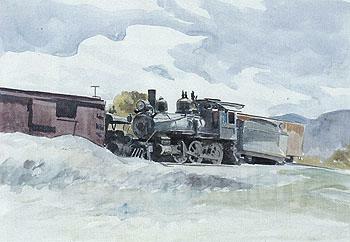 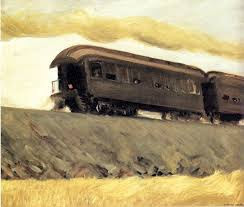 For perspective we are including a few train related works of Hopper below. Several of these works were executed in the 1920's on the Cape or in Gloucester, Massachusetts. 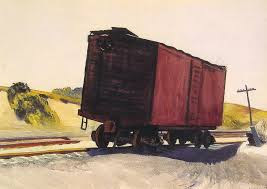 Given the geographic proximity of the two artists and the similarity of their work, it is fair to assume that Hopper had a significant influence on Francis.